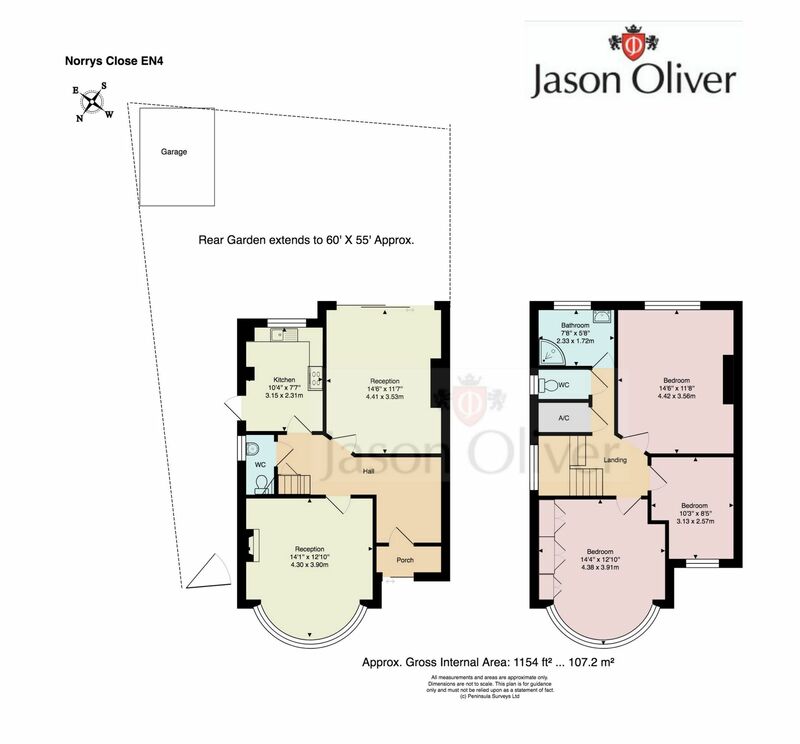 Jason Oliver Properties presents this three bedroom semi detached house in need of modernisation situated in secluded residential close benefitting from a large plot to the side offering a scope for further development (subject to the necessary planning consents). Approach: The property is approached via a path surrounded by lawn and well established shrubs leading to a porch. There is also a side gate entrance leading to a shed and kitchen back door with corrugated cover. The property consists of hallway, two large reception rooms, kitchen, downstairs cloakroom, three bedrooms, family bathroom, separate toilet, L - shaped garden and garage with rear access. Location: Norrys Close is a secluded & quiet cul de sac which is perfect for the individual or family who are looking for a peaceful and tranquil location with close and walking distance to Cockfosters Underground Station (Piccadilly Line) and Cockfosters local shops and amenities and Trent Park. The M25 is a short drive away.